Weekly Astrology Horoscope Overview for November 29 to 25, 2018. I'm still on vacation and writing and editing on my phone is a much slower process so the report this week will be shorter than usual. The Sun is in Scorpio for a few more days this week before entering a Sagittarius on November 22, 2018. We can expect secret revelations to come out of the depths to shine light on that will prompt more investigating when Mercury Retrograde enters back into Scorpio in the coming weeks. 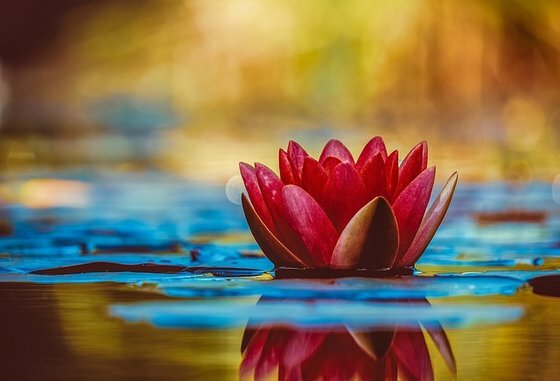 The Sun in Scorpio connects well with Chiron Retrograde in Pisces on November 20, 2018 indicating that healing those dark parts of our psyche and tapping into healing soul food is essential to wake us up to living a brighter future. The Sun in Scorpio also connects positively with the Destiny Point in Cancer indicating honest relationships with family and those close is a good idea. A more serious look at your personal home finances, mortgage and investments is recommended this week with an eye on future trends. As the Sun enters Sagittarius on Thursday we can expect more big news to wake people up to global concerns. We also have a Full Moon in Gemini this week, on November 23, 2018 at 12:37 am ET. We can expect Mercury Retrograde to be emphasized with this Full Moon, since Mercury is the ruler of Gemini. Words, miscommunications and misinterpretations can create major emotional reactions. Remember that Mercury is double minded, and represents duality, so biases are a strong factor in miscommunications and thus disinformation. Mercury Retrograde is the trickster and thus can symbolize lying. So, we also need to be concerned about how manipulative methods of communications can influence people. Divisive talk can instigate further divisions. With Jupiter in Sagittarius and Mercury Retrograde in Sagittarius, this speaks volumes to how propaganda via mass media can influence the thoughts and beliefs of millions of people. People are likely to put into question, (thanks to Mercury Retrograde) just how can such large influence (thanks to Jupiter in Sagittarius) cause strong emotional reactions in people (thanks to the Full Moon in Gemini). The Sun in Sagittarius indicates a big spotlight. Racism and cultural differences could especially be emphasized by the media these days with Jupiter in Sagittarius. Identity politics with Uranus Retrograde in Aries is also emphasized now, adding to racism issues. Issues of immigration could escalate this week as well. A spotlight on such issues could turn tables. Mars is Pisces is at odds with Jupiter in Sagittarius this week indicating conflicts of ideas and beliefs could have big, karmic results. Be cautious of how emotional reactions could lead to not so nice actions because they could have extra long term consequences. Neptune stations Direct in Pisces at the end of the week indicating a shift forward with karma as our higher aim. It's a good time to evolve and consider your place in the cosmos. 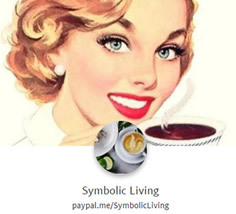 Thank you so much for sharing Symbolic Living with your friends online.